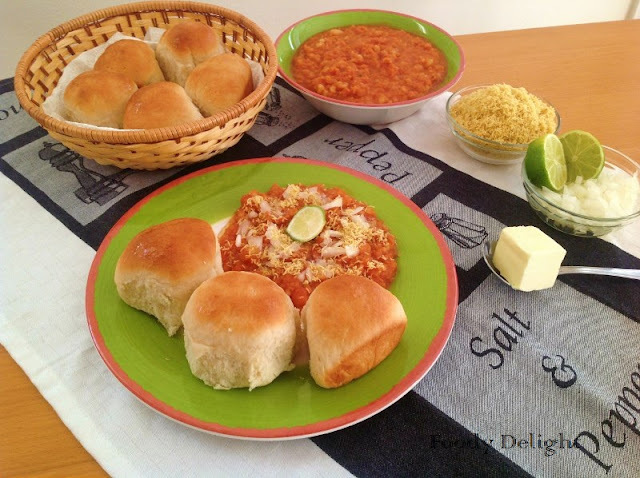 Pav Bhaji is the famous street food. It has ton of varieties of veggies cooked with tomato puree and flavourful masala powder. 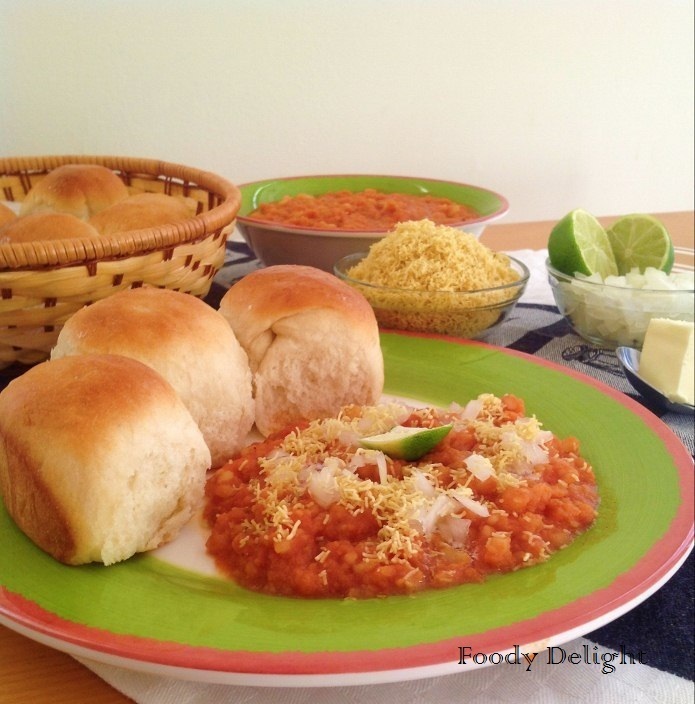 The key ingredient without which Pav Bhaji cannot be tasty is butter, so be generous in adding butter while you cook the bhaji. 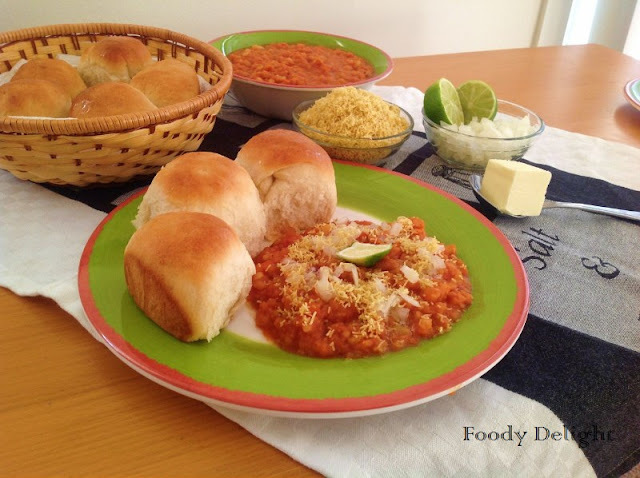 This buttery Pav Bhaji gives you a real taste of Mumbai Pav Bhaji which is famous at every corner of Mumbai city. This time I prefer to make the pav at home and they were really more tasty than store bought. Click here you see the " homemade Indian pav"
Place the skillet on medium flame and add 1 tbsp of butter into it. When butter melts ,add cumin seeds and let it splutter. Add chopped onion and fry till brown. Add ginger -garlic paste and fry till raw smell goes off. Add dry masala powder and tomato puree.Cook for 2 minutes . Now add mashed veggies and salt. If required you can add more spice and salt. Cover and cook for 5 to 6 minutes. Add remaining butter and stir well. Turn off the flame and add lemon juice. And mix well. Now bhaji is ready to go with hot Indian pav. Slightly slit the pav in between and toast them using some butter on a griddle or tawa. Then serve immediately with hot bhaji, chopped onion, fine sev and lemon wedges. My all time favourite street food, inviting.